How experienced are your Sidekicks? We require high levels of previous experience across each industry Sidekick’s are approved to work in, and of all applicants only 15% go on to become approved Sidekicks on the platform. We ask for at least 6 months experience across each industry before a Sidekick can be approved for that category. Many of our Sidekicks are highly skilled industry professionals looking to pick up extra work via the Sidekicker platform. We also skill test Sidekick’s in their interview for common industry skills (e.g. 3 plate carry, drink service, etc. ), to ensure they are up to scratch. 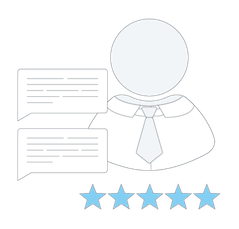 Each Sidekick’s profile includes a detailed summary of their previous work experience, as well as ratings and reviews from clients on the Sidekicker platform.